Yesterday, General Motors informed media its manufacturing facility and industrial hub in Venezuela had been illegally seized by the country’s authorities. 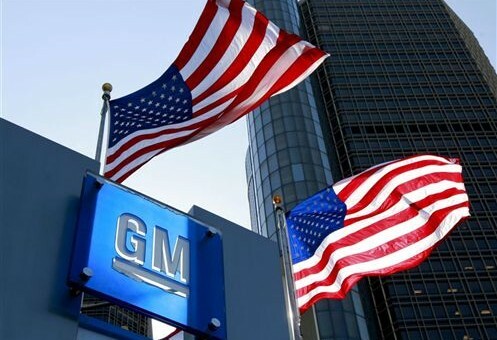 With the announcement, GM vowed to take all legal action, condemning Venezuelan authorities in the process. “GM (Venezuela) strongly rejects the arbitrary measures taken by the authorities and will vigorously take all legal actions, within and outside of Venezuela, to defend its rights,” the automaker said in a statement. As for the legal actions in can pursue, there aren’t many. The Detroit Free Press reports GM’s legal response will likely be limited, and may only have an effect should Venezuela have some assets in the United States. If there’s a silver lining to the situation at all, it’s the fact these happenings likely won’t impact GM’s financial performance. The automaker, along with most other companies, has struggled in recent years amid a hostile political and social climate in the country. GM forecasted minimal vehicle sales and production for 2017. GM hasn’t built a vehicle at the Valencia-based plant in the country since 2015. Previously, the Aveo, Spark and Cruze were all assembled in the country. Socialism: When you eventually run out of other people’s money, seize private property in an attempt to build capital and quell the violent, hunger riots. Seems like Maduro is following Castro’s practice of the 1960’s. So if his reign is long, the Venezuelan people will be driving 2010 and older cars for many years. Except for when it works out like in every Scandinavian country and Canada. Easy to go wrong, but when it goes right, the standards of living are rated the best in the world. And before you jump up and down, I’m neither a capitalist or socialist, nor a communist. I just want what’s comfortable and without conflict or undue strife. So what you want is a small homogenous population with a highly concentrated common culture. Because thats the ONLY way that style of socialism works; like some Scandanavian countries prove. Of course, thats assuming we ignore the refugee issue in Sweden. Suddenly ‘free stuff for everyone’ doesn’t seem so swell when an ever growing outside segment of the population seems hell bent on taking and never giving back…oh well it was nice while it lasted. Canada on the other hand, is also a not a great herald of socialism. Fortunately they are ‘socialist light’ and have easy access to alternatives next door when the gov services come up short. How the hell you got that one so wrong, I don’t know. I guess your cap. vs. soc. worldview just doesn’t fit anymore. Where does it say anything about small concentrated populations? Where does culture fit into it? I never said anything about those because those aren’t political positions; they are social. Yes it works but only in small passive countries. Then you pray a dictator is not elected. Any mfg takes a risk when production is done outside N America. Any automaker could lose big in China, Russia and any other restricted country and lose it all.